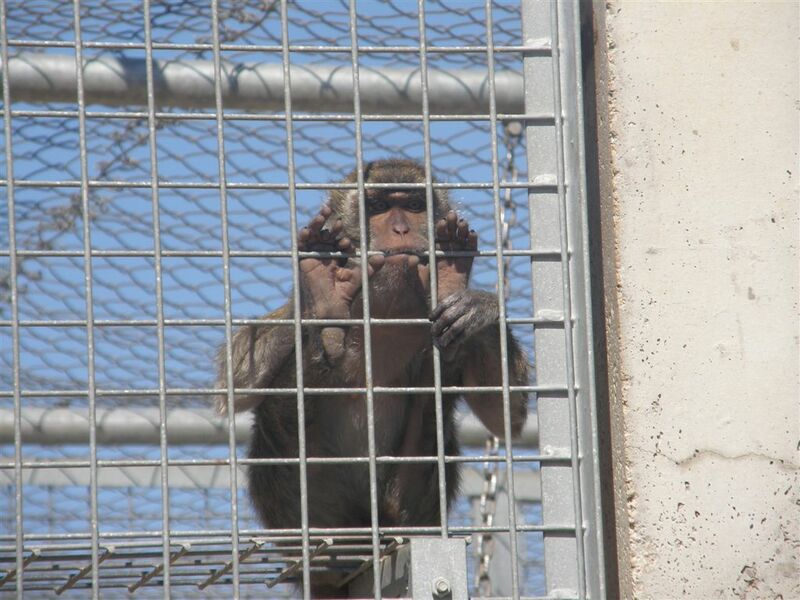 AFC - 11/13/07 Monkey "Guantanamo Bay"
A new British Union for the Abolition of Vivisection (BUAV) undercover investigation has exposed a "Guantanamo Bay" style "prison" for primates close to popular Spanish tourist destinations including Barcelona. 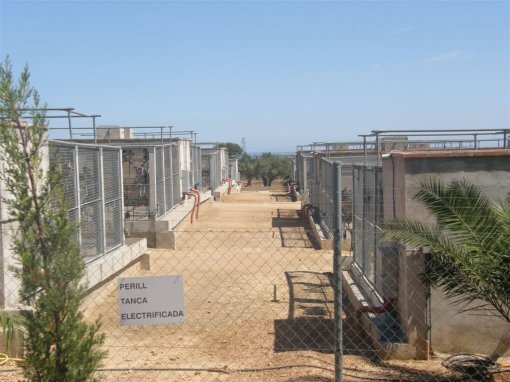 The controversial Catalonian facility at Camarles keeps macaque monkeys, shipped from Mauritius, in bare concrete and metal cages under the searing sun and supplies them to research labs across Europe. Catalan authorities banned the building of new primate "supply" centres in 2003 after a public outcry over the Camarles compound, reflecting wider EU public opposition to the laboratory primate trade. The investigation shows the compound is being expanded in defiance of such public concern, to grow its housing capacity from 1,000 to 3,000 monkeys. The BUAV has written to Catalan, Spanish and European Union authorities with its evidence to demand a review of the supply centre's ongoing business. More importantly, it has demanded Spanish, UK and EU authorities consider the BUAV’s evidence as part of an overwhelming case for banning the use of primates in the current review of the European directive that sets the rules for animal experimentation in Europe (86/609). Over eighty per cent of the 40,000 responses from European citizens who responded to the EC's consultation on the revision of 86/609 said they did not consider the use of monkeys in experiments as acceptable. 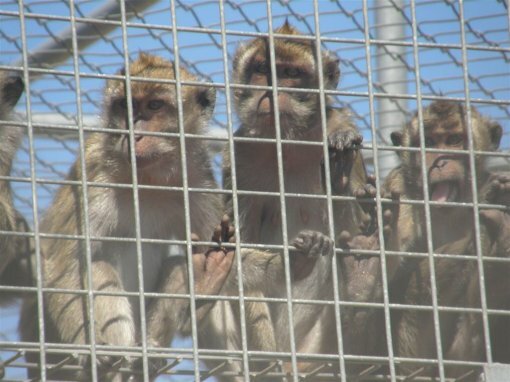 Animal Friends organization has sent a demand for the legal ban on experiments on primates in Croatia and expects from the newly-elected government to take this issue into consideration and eventually its realization. Shocking: new statistics on animal experimentation in EU! Despite European Commission and member state's individual promises to reduce and replace the use of animals in experiments, the total animals used in experiments in 2005 rose to 12.1 million – representing a 3.2 per cent increase. For example, there was a 107 per cent rise in the use of animals only for cosmetics testing! France, the UK and Germany, in that order, are the largest users of animals in the EU. The use of animals by these three countries represents 50 per cent of all animal use in experiments in the EU. Germany's use, however, decreased by 12 per cent in 2005. The largest proportion of experiments using animals (33 per cent) were fundamental biological research – which are designed just to see what happens to an animal if you subject it to certain conditions. For example, researchers in the UK are legally allowed to implant electrodes into the brains of macaques for the purposes of understanding how their brain responds to things that they see. There is no direct medical benefit to this research (J Neurosci Methods 2006). Over 24,000 dogs and 10,000 primates were used in experiments – the use of so-called "new world" monkeys such as marmosets leapt by 31 per cent, despite overwhelming public and increasing scientific opposition to their use. There was a 107 per cent rise in the use of animals for cosmetics testing. 5,571 animals were used despite regulatory approval and widespread availability of alternatives, legal bans in some countries and the great public opposition. 231,613 animals were poisoned to death in studies like the LD50 – including 841 dogs. The LD50 is a toxicity test where researchers test the amount of a substance it takes to kill fifty per cent of the animals. Because of its pointlesness, this test is banned in some countries. Croatian Animal Protection Act bans animal experiments for the purpose of research or development of ingredients, combinations of ingredients or final cosmetic products and testing cleansers and substances for disinfection of goods for general use. So called "White List" is also available to the public, that is the list of companies that do not test their products and ingredients on animals. These are just small steps, though, that should be taken in the direction of ending of animal experiments. Animal Friends and BUAV believe that it is simply morally indefensible that in the 21st century some of the most advanced laboratories in the world are still pouring tens of millions of public money into cruel and unreliable research. Our politicians, with a great public support, have a unique opportunity to end this suffering and under the current revision of the directive that governs animal testing to close the door on outdated practice, and move Europe forward into an era of modern, humane research. Video footage from monkey "Guantamo Bay"